The work I get to do is really rewarding. We've got great clients and colleagues and everything we do contributes in a positive way to healthier communities. I know how fortunate I am to have found one of those careers that make you happy to get up in the morning. Steve Durrant is a principal and the senior landscape architect at Alta Planning + Design in Seattle, Washington. He is a registered landscape architect and planner with over 30 years experience helping communities become better places to live. His career has focused on urban non-motorized transportation, urban trails, waterfront redevelopment, open space planning, community revitalization, greenways and long range planning. His recent work in Seattle, Portland, Minneapolis, St. Louis and other cities includes regional open space systems, non-motorized transportation corridors, light rail and streetcar transit, urban waterfront redevelopment and bicycle transportation programs and facilities. Steve has contributed to projects internationally, including a repatriation plan for a portion of the Demilitarized Zone in Korea and scenic area planning in Taiwan. He brings a sensitivity to community values, the local environment, and vernacular design sensibilities. 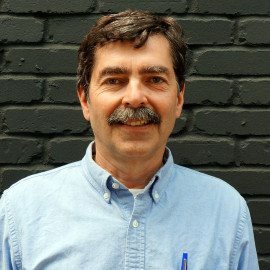 Steve was named a Fellow of the American Society of Landscape Architects in 2015 and is a member of the board of directors of the League of American Bicyclists. He has been recognized by national and international organizations for his contributions to high quality design solutions for transit, waterfront regeneration, national parks, scenic and natural areas, greenways and trails. He speaks regularly at conferences, workshops and training sessions and lectures in the Initiative for Bicycle and Pedestrian Innovation at Portland State University.